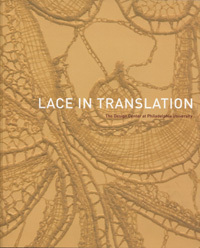 On the basis of his record in reinterpreting and interrogating craft practice, Boontje was invited by the Design Center, Philadelphia to examine the extensive historic collection of Quaker Lace in the archive of Philadelphia University. 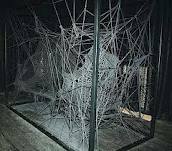 Boontje’s expertise is demonstrated by his work in numerous public collections, such as MoMA, V&A, Manchester City Gallery, San Francisco Museum of Modern Art, Stedelijk Museum and Indianapolis Museum of Art. At Philadelphia, he was commissioned to design new objects and create an exhibition as part of a three-person show. 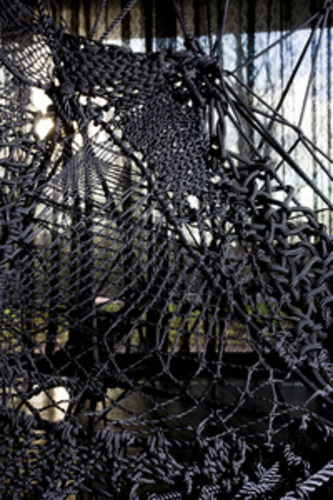 Boontje’s research explored three-dimensional lacemaking to create new products. It combined traditional artisan techniques and crafts with unconventional materials, including natural fibres such as grass and raffia, and synthetic fibres such as Aramid and Dyneema. 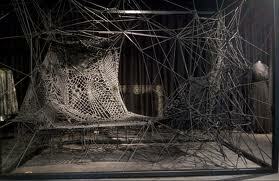 The exhibition consisted of a sofa, jewellery, a dress, lights and development models and tests. 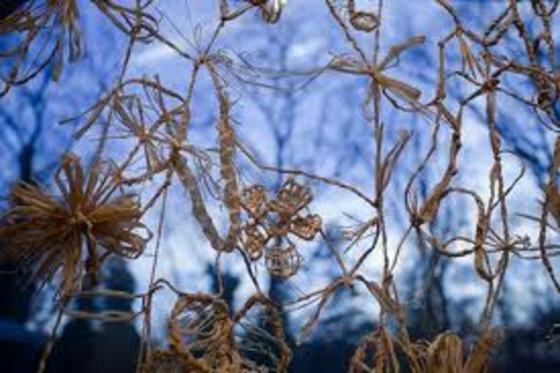 While lacemaking has become conventionalised and scorned by modernist designers and consumers, Boontje reinvigorated an apparently moribund practice. He demonstrated how traditional but disappearing skills of artisans can still have a purpose in manufacturing, and continues his project of reintroducing emotional and humane values to design (Margetts 2006). 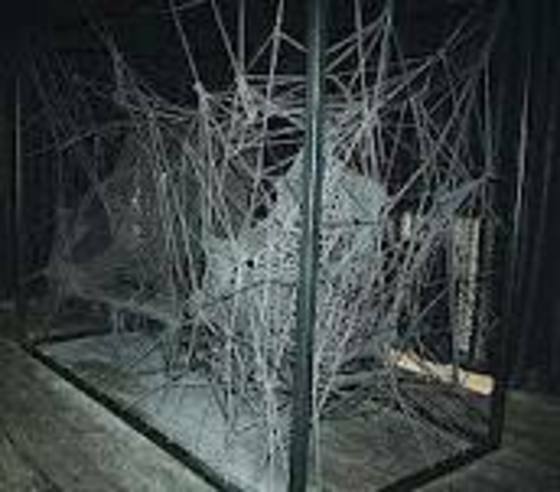 The work carried out in the studio involved sketching, testing, model making, prototyping, and production of finished pieces, planning the space and then executing the installation in the galleries in Philadelphia. 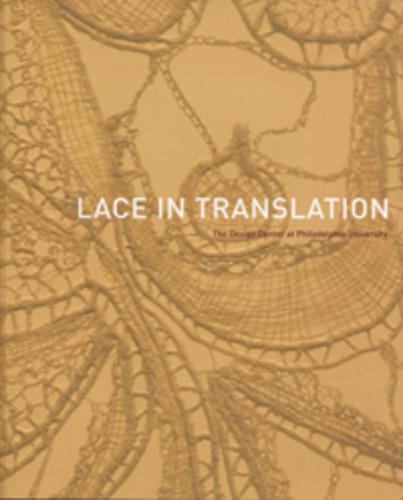 The work was discussed in McQuaid and Packer, Lace in Translation (2010) and by Ruyak in Fiber Arts (2009). 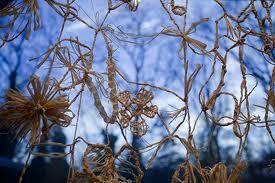 Boontje’s approach was also discussed in the New York Times (2009) and the Financial Times (2010). 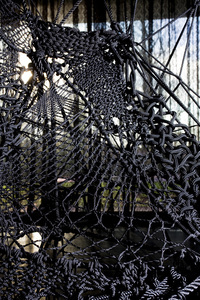 Boontje was subsequently invited by Marsden Woo Gallery in London to create a solo exhibition, ‘The Lacemaker’ (2010).